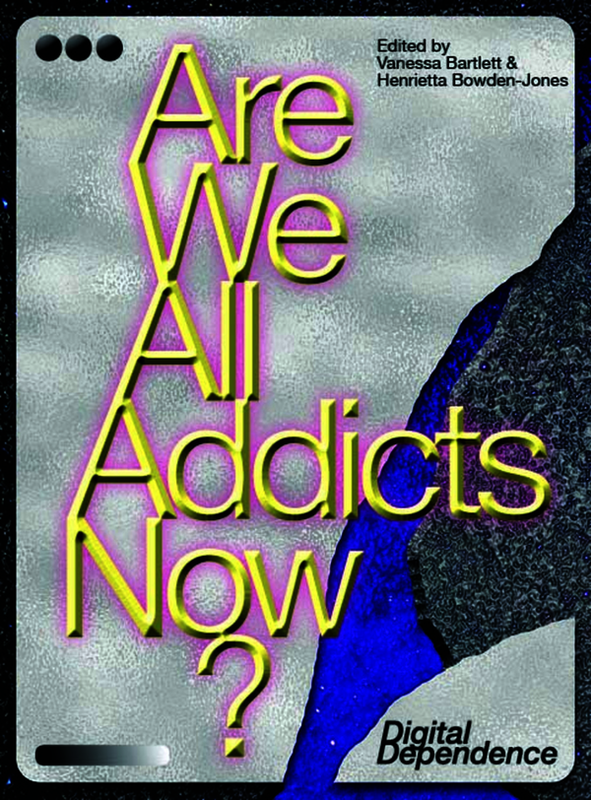 Liverpool University Press: Books: Are We All Addicts Now? Are We All Addicts Now? Digital Dependence is an artist-led enquiry by Katriona Beales into digital hyper-connectivity and the normalization of addictive behaviours through our everyday interactions with digital devices. While internet addiction is not yet considered an official psychiatric disorder, it is gaining increased recognition as a behavioral phenomenon in both scientific study and the popular press. This project is the first interdisciplinary exploration of this burgeoning diagnostic territory. The book combines visual and textual research, including artistic works from Katriona Beales and Fiona MacDonald : Feral Practice, alongside essays from contributors in the fields of anthropology, digital culture, psychology and philosophy. Informed by the latest scientific research, the book acknowledges the increasing difficulty many people experience in controlling their online habits. At the same time, it also thinks beyond the biological model of internet addiction toward the social and political dimensions that shape everyday online activities and habit-forming behaviour. This book is co-edited by curator Vanessa Bartlett and medical doctor and neuroscience researcher Henrietta Bowden-Jones. It is published to coincide with a major exhibition of new artwork by Katriona Beales at Furtherfield, London. Vanessa Bartlett is a researcher, writer and curator and producer currently based between London, Liverpool and Sydney, Australia. She is a PhD candidate at University of New South Wales, where her research explores digital art as a way of prompting audiences to reflect on their own mental health in the gallery space. Henrietta Bowden-Jones is the Founder and Director of the National Problem Gambling Clinic in the UK, the only NHS service (CNWL NHS Trust) designated for the treatment of pathological gamblers and their families. She is a medical doctor specialised in Addiction psychiatry and an Honorary Clinical Senior Lecturer at Imperial College where she obtained her Medical Doctorate on the topic of “Ventromedial Prefrontal Cortex impairment as a predictor of early relapse in Alcohol Dependency” Her current roles include: President Elect of the Medical Women’s Federation and Royal College of Psychiatrists’ Spokesperson on Behavioural Addictions. She is a member of the World Health Organisation (WHO) Behavioural Addictions Advisory Group and a member of the Royal Society of Medicine’s Psychiatry Council. She has published extensively on behavioural addictions in research journals, has edited two textbooks and regularly lectures at national and international level on the neuroscience and clinical aspects of behavioural addictions. Her third textbook, on women and pathological gambling, will be published in May by Routledge.